From the moment you walk into Indianapolis Downtown Dentistry, you'll sense there's something different about us. Imagine a place where you can sit back and relax while receiving the best possible care. A place to learn about good dental health in a warm, comfortable, and professional environment. Imagine a place where you can learn to develop habits that will keep your teeth healthy and strong. We believe dental health is the key to overall health and well being. Patients who receive treatment in a caring and compassionate environment will remain lifelong dental patients with excellent oral health. We believe that a healthy, beautiful smile opens doors and warms hearts for a lifetime. It is a privilege to care for you and your family! Since Dr. Grider has been my dentist I have had a variety of procedures done, both routine & major, and cannot speak highly enough of my satisfaction with the work completed. Dr. Grider and his staff have an obvious dedication to making each and every patient feel comfortable, safe, as well as an individual. I highly recommend Dr. Grider to any & everyone that mentions needing to select a dentist. Selecting a high quality and honest dentist is a serious decision. After a period of research, I have found that in Dr. William Grider. His clinical skills & caring for patient well-being puts him far above most dentists. 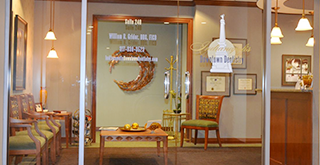 We find Dr. Grider to be knowledgeable, caring, & personable. 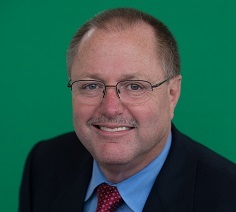 We have always felt that Dr. Grider takes the time to fully explain any procedures he recommends and always leaves the final decision up to the patient without feeling pressured. Dr. Grider always does thorough examinations and we have never felt that he has ever recommended any unnecessary treatment. - Bob & Catherine M.